The holiday season is known as a time for giving -- and this cop is pulling out all the stops to make sure locals are feeling it. 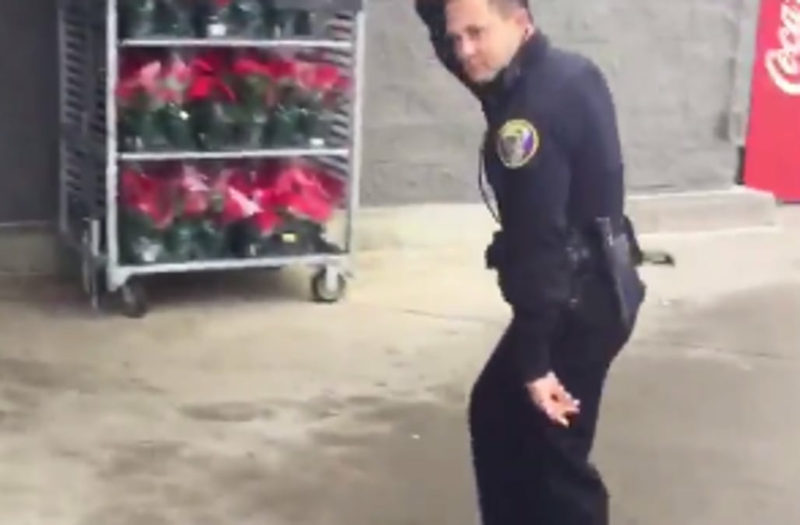 Officer Sean Bulow of the Cleveland, Tennessee Police Department busted a move for the Salvation Army's Red Kettle Drive. The drive ran outside a Cleveland Walmart on Monday, with the department giving out the first 50 donators of $20 or more a limited edition challenge coin. While Bulow's moves are fun to watch, they also have a deeper purpose: to donate to people in need.